The Bianchi. 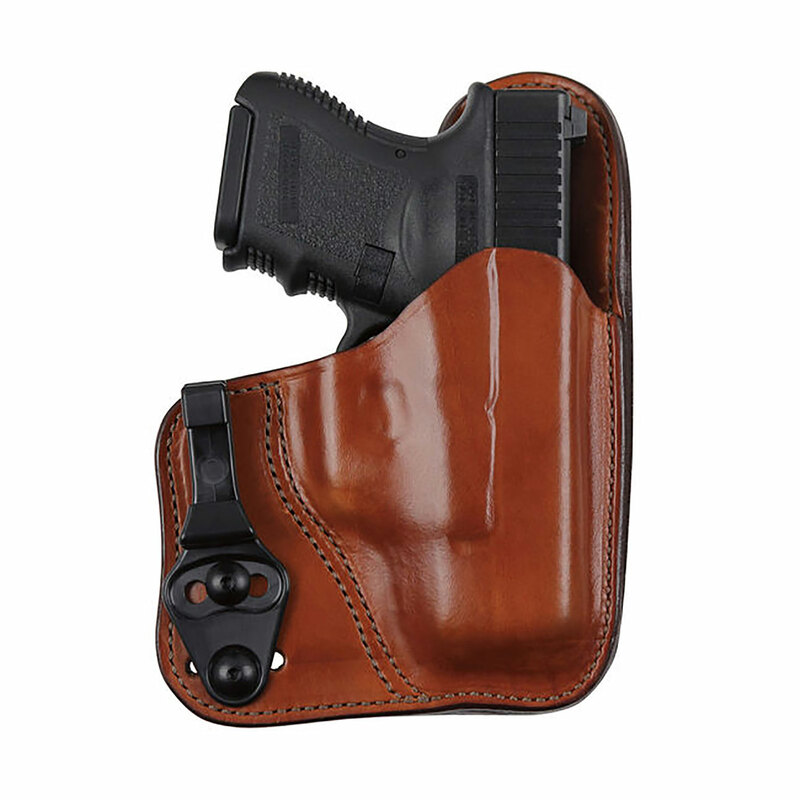 Model 100T Tuckable Professional offers all the benefits of best selling Model 100 but with an additional key feature, the ability to tuck in a shirt while carrying the handgun. This is accomplished by using Bianchi's patent pending C-Clip design which envelopes the belt while minimizing the space covered on it, reducing its visibility. This new tuckable design allows for better concealment of the handgun and is a must-have for those unable to wear an untucked shirt.